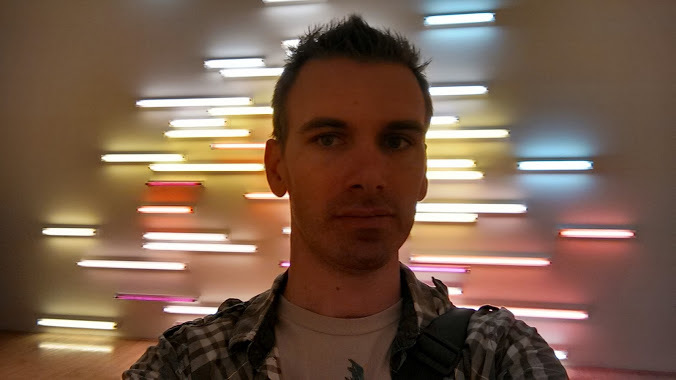 Scott Noon Creley holds an MFA in writing from California State University, Long Beach. He is one of the founding directors of The San Gabriel Valley Literary Festival. His work has been featured in the collection Bear Flag Republic, and in quality journals as diverse as ”Sentence”,”Miramar”, and ”Carnival Literary Magazine”. He is the author of Digging a Hole to The Moon, is a poetry collection from Spout Hill Press. Scott Creley writes futurist material for corporations trying to stay on the bleeding edge, and has drafted material for many mercilessly huge corporate juggernauts, including companies who would crush him should he violate their NDAs. He also works as a digital artist and web designer. Visit ScottCreley.com to follow his exploits and keep up with his work. Check out the avenues for self expression at the dA…………..
Creative ARTS – Enjoy exploring and discovering your creativity through a variety of mediums like drawing, painting, collage, jewelry, and assemblage infused with music and literature. All levels welcome. This class is a one day course that will discuss everything from researching colleges all the way through the college application process. It will discuss where and how to research colleges, questions to ask university representatives, where to look for scholarship opportunities, as well as the types of colleges and how to find your best match in a school. Students and Parents are welcome to attend. Printmaking with“Uncle Bacon”. Students will hand carve a linoleum or a wood block, apply ink, and use the Hurton designed press to produce original works of art. Relief images are well suited for cards, posters, and printing on fabric. Relief printmaking is one of the oldest printmaking techniques and it is a process all ages and levels can enjoy. Clay Studio – Explore hand building and sculpture techniques. Students work on projects of their own choice once basic skills have been achieved. medium. ~ Artist Statement ~ I think nature offers us beautiful views of our world. In just the simplest of its expression, there is beauty.I feel inspired by nature and hope to reflect and do justice to its beauty. In the end, I hope by sharing my work that I may inspire others to take a closer look at natural, gain piece from it,see it’s value in our lives and find it in their heart to preserve it. Lead by with JoAnne Campanella. All levels are welcome. $60/ 4 week session Includes materials. Performance Puppet Fridays: Bring a character, idea, story or poem to life, in this workshop. Create shows and build different styles of puppets. Learn about this historical art form and it’s usage to spread messages throughout time. Perform in costumes, and stage an experience for a close audience or take it to the streets: as in zocalo, mardi gras festivals, parades or marches. Lead by Aida Lugo Ages 12 & up $10. Develop and strengthen your photography skills with a critical approach to the photographic process. Students will learn how to express their artistic interests and explore contemporary approaches to the photographic process, while developing their own unique style. Students will learn about the history of photography and will undergo critiques of their photographs. They will also learn all the technical aspects of the camera. Workshop: Writing About the Supernatural with Christoper Allen Poe – 6/8 @ 1PM – 3PM. Workshop: Writing Graphic Novels – Both artists and writers welcome – 8/3 @ 1PM-3PM.